Shall I swap scale/gauge to 0-16.5? 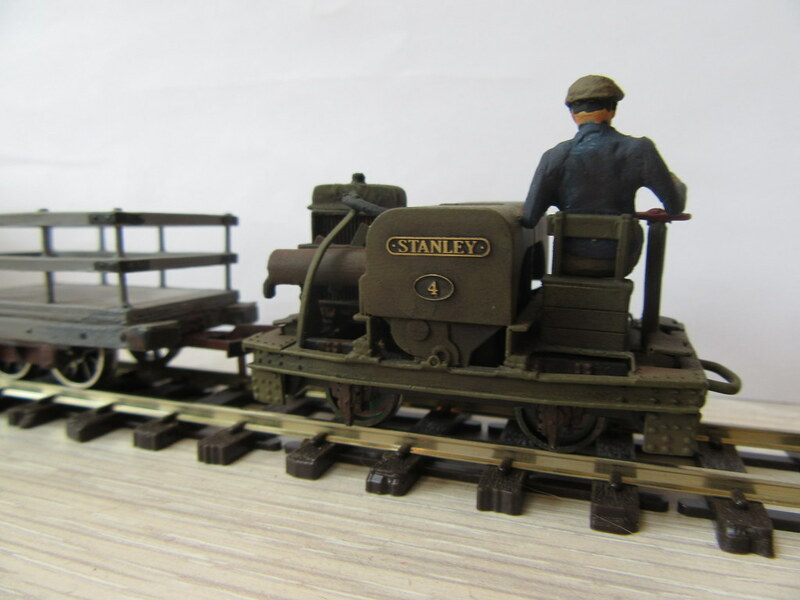 Post your narrow gauge model railway questions here. 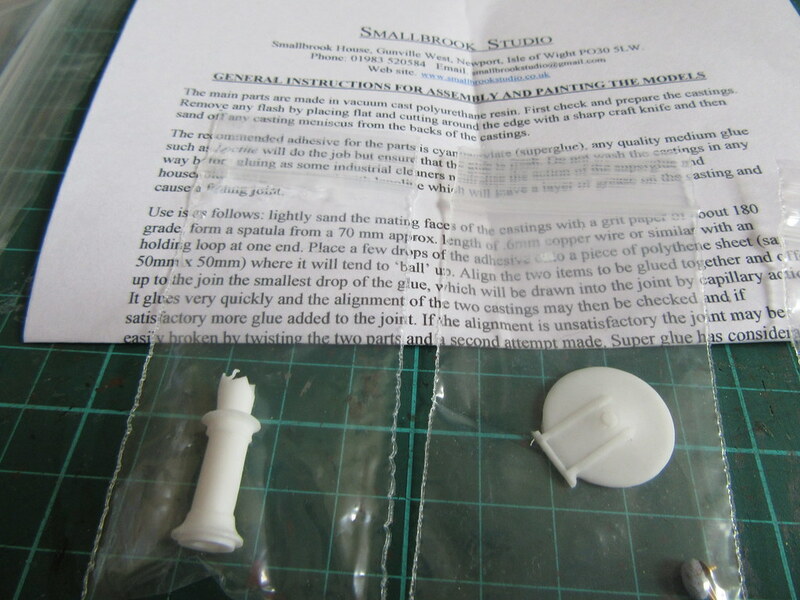 That includes model railway narrow track gauges Nn3 to Gn15 and beyond!. Re: Shall I swap scale/gauge to 0-16.5? Not sure about the drivers trousers and cap colour scheme being the same as the engine? You thought I was saving on paint ? No, they are brown, the engine is drab olive; don't worry they look different 'in the flesh'! This now completes Stanley . . . It is an absolute beauty PNP, you should be very proud of it. The paint finish on it and the wagons is first class, it just oozes character. I really want to see it in its scenic surroundings now. 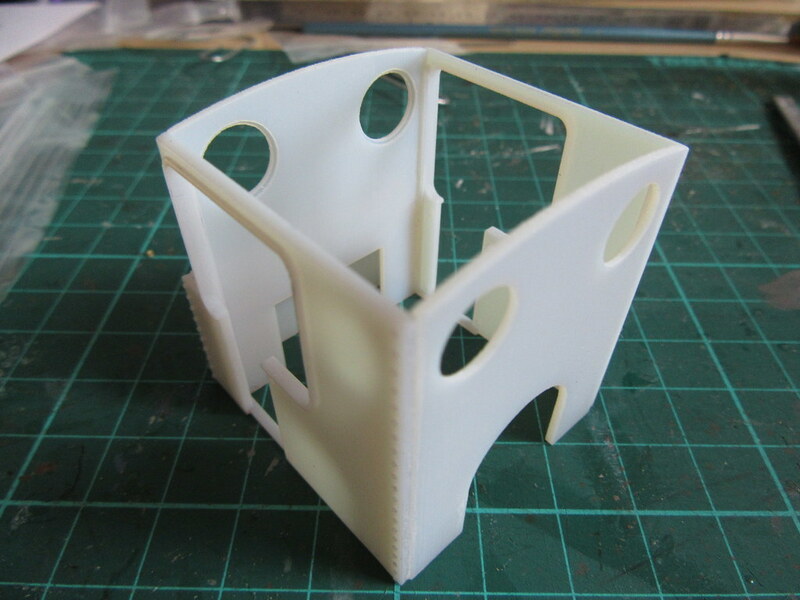 carnehan wrote: It is an absolute beauty PNP, you should be very proud of it. The paint finish on it and the wagons is first class, it just oozes character. I really want to see it in its scenic surroundings now. Many thanks Paul; that's what I'm liking most about narrow gauge - the fact that each individual vehicle can have its own character. 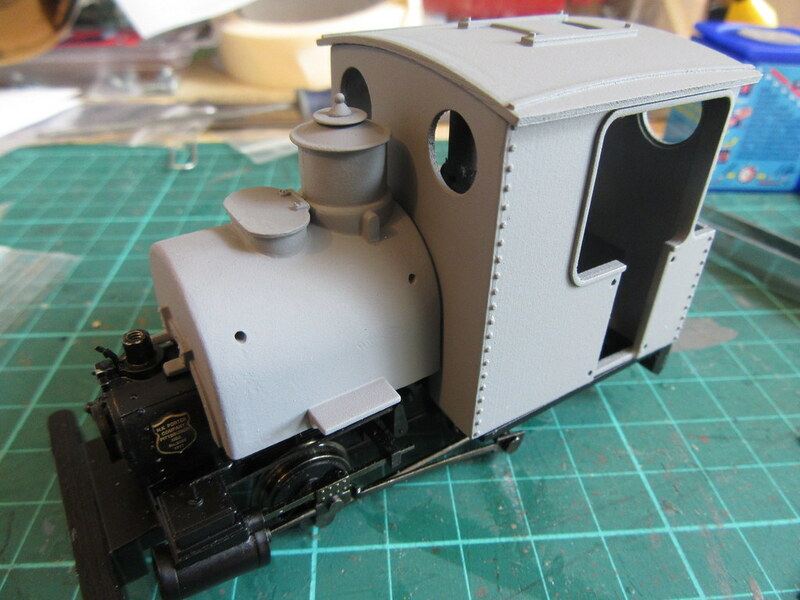 Partly imposed upon me by their being nothing RTR in UK format in O-16.5, and partly by the fact that I don't feel constrained by any particular prototype. That's what I'm finding. It is liberating... 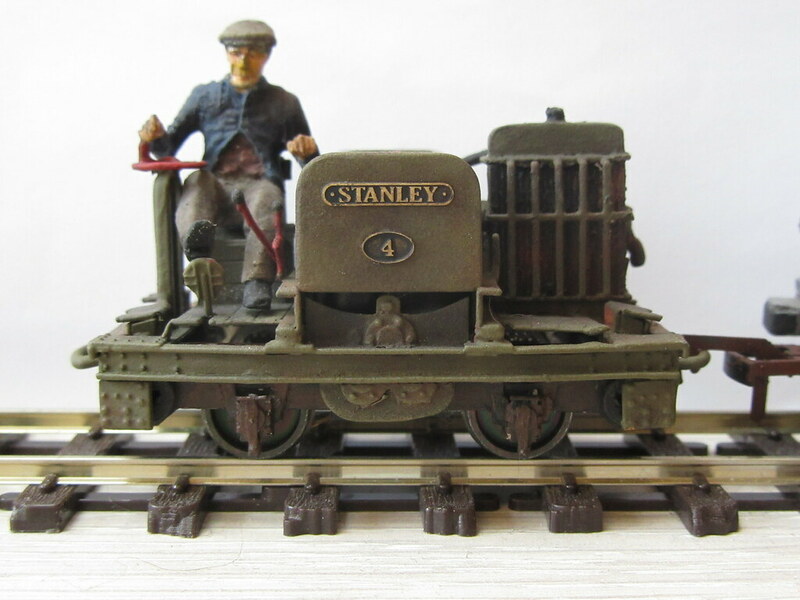 While I understand that some will want ready to run models, for me the attraction is that there are no RTR models in British outline 7mm narrow gauge, so everyones models are rather unique. The only problem was that it ran pretty poorly . 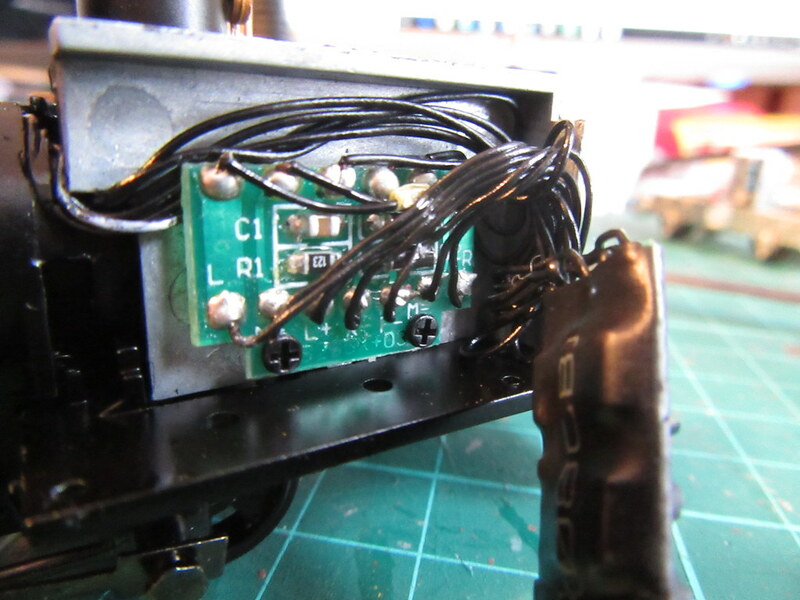 Adjusting and cleaning the pickups helped, but the main issue was with the factory-fitted decoder. The loco started EXTREMELY slowly on speed step 1 (of 28) = just a humming noise with no actual movement - then started to crawl up to speed step 5 - then quite a bit faster at 6 - and then suddenly really fast at 7. 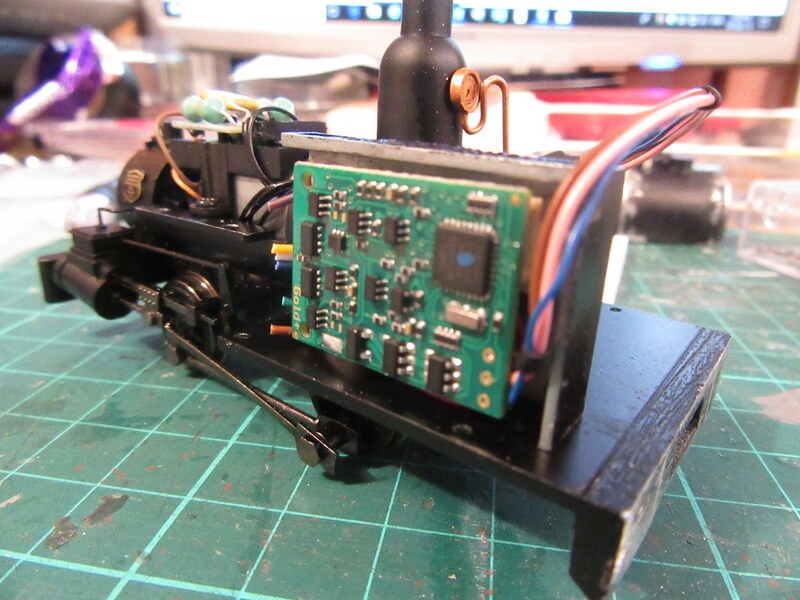 There was no info supplied about setting decoder CVs, and from my experimentation it did not adhere to normal NMRA standards. Basically I could adjust the starting voltage (so that it moved on step 1) but NOTHING ELSE speed-wise (so it stayed at the same speed from 1 to 5 then suddenly sped up at 6 to 7 and above. Poor. 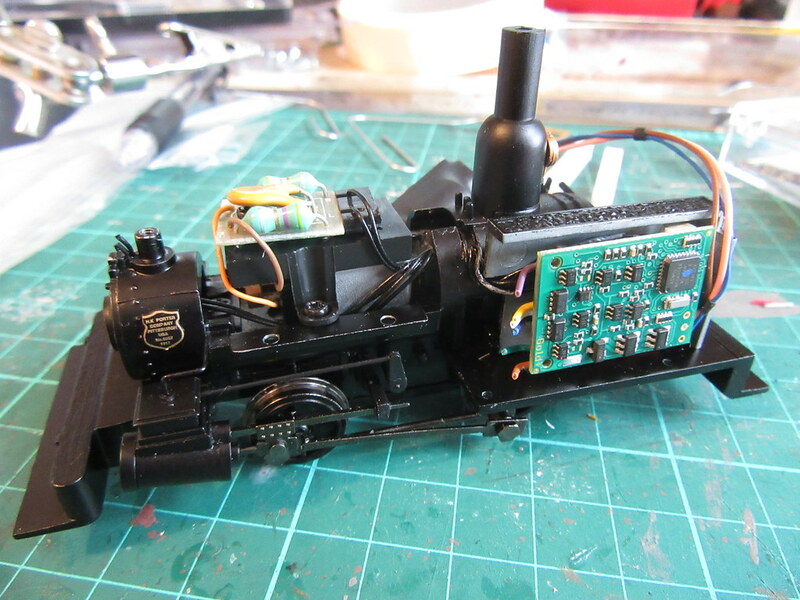 Once the loco was running, it ran very sweetly indeed and very quiet - so I knew there was nothing wrong mechanically. So I decided to try another decoder. But then I found the decoder was connected using ALL BLACK wires. What? Why? Crazy! Luckily, the small PCB in the above photo had markings like M+ and M- (I took these to be motor positive and negative) and L and R (presumably Left and Right track). 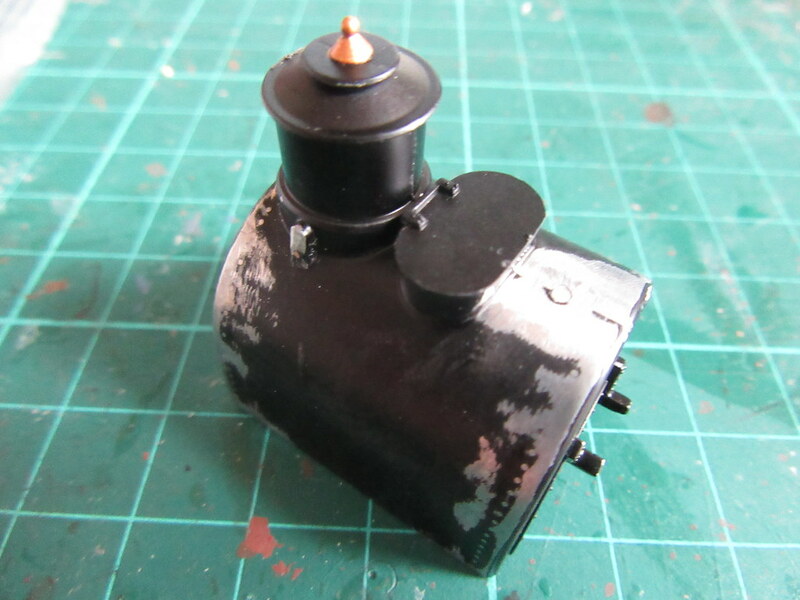 So, before snipping the wires I painted them the correct colours. Here I had a "laugh out loud" moment when I was just about to paint one of the wires black (I used dark grey instead!). The difference in performance was spectacular - the loco runs absolutely beautifully! I can adjust the speed curve exactly as I want and connect a stay alive. Very pleased. Its amazing what a difference £££ of electronics makes!!! Superb control and the 'electronic flywheel' that is the stay-alive. Last edited by PinkNosedPenguin on Mon Apr 16, 2018 8:50 pm, edited 1 time in total. You could do it as part of the competition? Oooo, there's another competition? Well, as a previous winner ( ) maybe I should enter!!! PinkNosedPenguin wrote: Oooo, there's another competition? Well, as a previous winner ( ) maybe I should enter!!! Yes. Will be fun. Also will be exciting to see what you come up with! Previous winners are banned! mods and admins are banned! Matty's banned as a pro. I'll take my chances with Mountain, as I can't find a reason to ban him! I can assure you I definitely have no more chance than anyone else - got lucky with the voting that time . 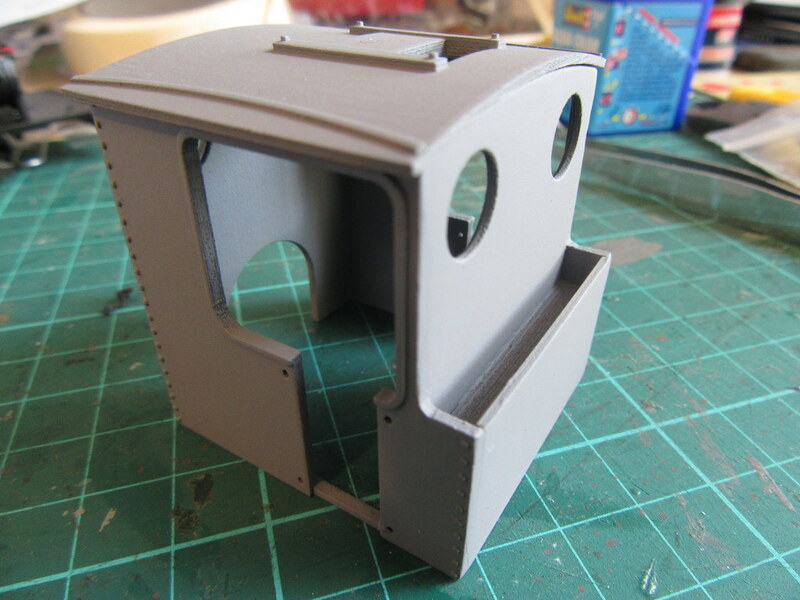 I am now proceeding to construct the cab . 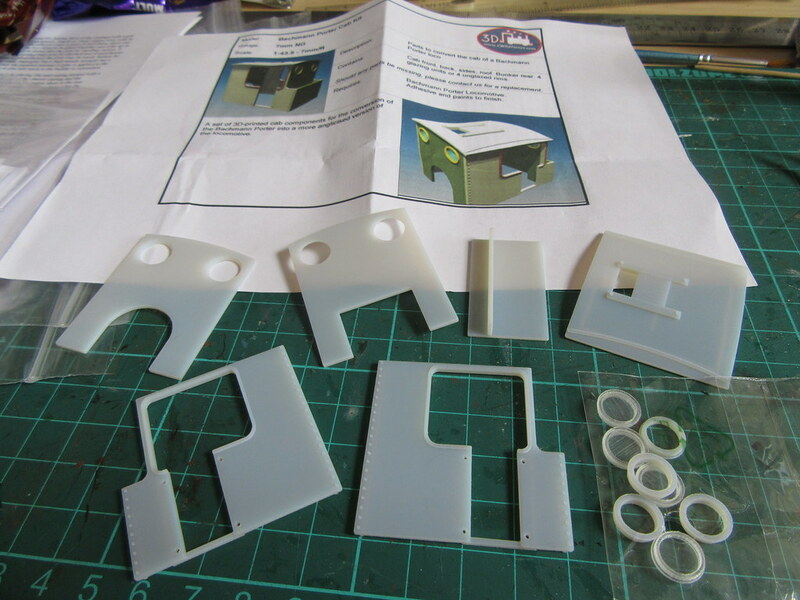 . .
PinkNosedPenguin wrote: I am now proceeding to construct the cab . . . 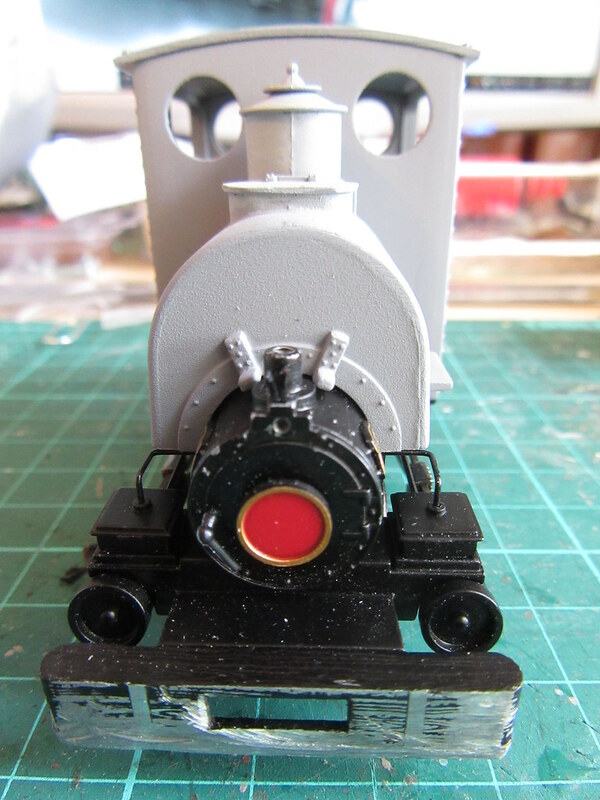 This view from the front shows what my next step must be = to put something over the diminutive low slung smokebox - work for a future update . 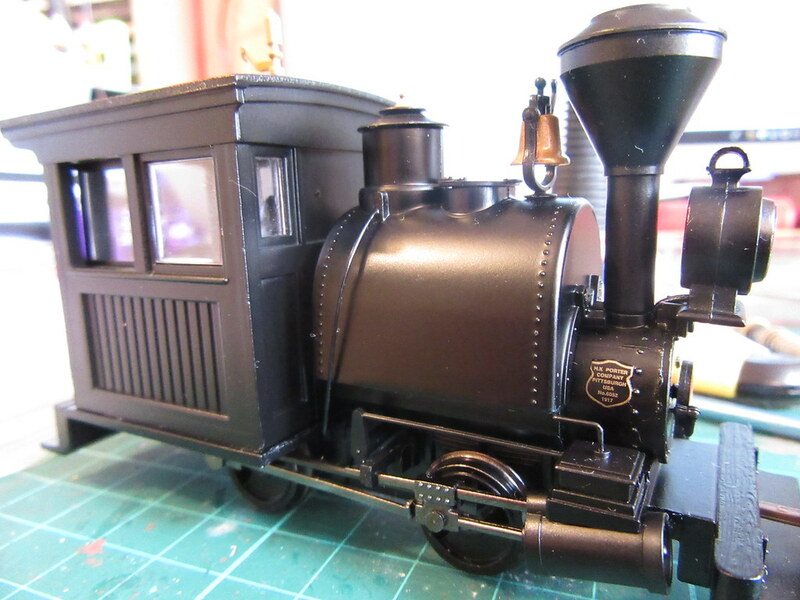 . .
As I said in my last post, the cab was reduced in length before printing by Tim at CWRailways - it fits my Porter pretty well, but it does mean, with the rear coal bunker, that the backhead protrudes a very long way into the cab and there is not a lot of room inside for the driver behind it . But I knew this conversion would require some compromises and I am hoping this will prove to be an acceptable one . . . It looks the part. There is a lot of metal on the donor loco. Useful weight.